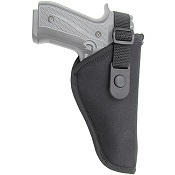 We have Modern holsters for Blank gun holsters, Non firing guns, real live fire gun holsters or BB gun holsters, blank firing gun holsters, shoulder holsters for blank guns. 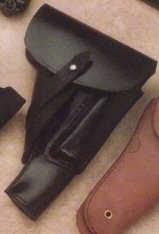 Made from top-grain heavy leather with leather leg-thong. 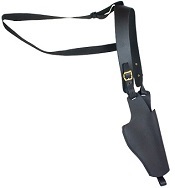 Features 2-1/4" wide belt loops and belt hanger for use on web belts. Stamped US. Features: Length: 11" Weight: 1 lb. 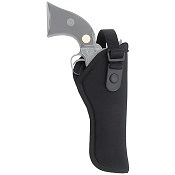 This Holster works well with our Blank firing guns, non firing replica guns or real Live Fire Hand Guns Pistols. 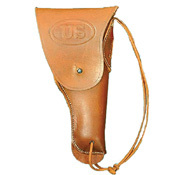 Universal military style holster. For all P-38 and 4" P-08 style pistols. 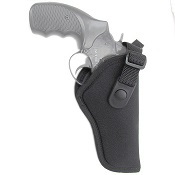 It works well with our Blank firing guns, non firing replica guns or real Live Fire Hand Guns Pistols. It features full-flap cover, extra magazine pouch and heavy duty leather. 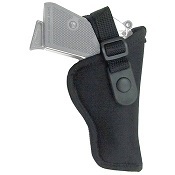 P38 and P08 Holster. 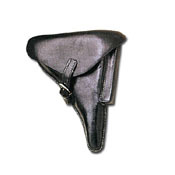 Made of thick black leather, fits all P-08 and P38 pistols. 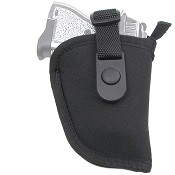 Features include full-flap cover, extra magazine pouch, and pocket for loading tool under flap. 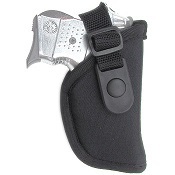 This holster will also work for a real live fire handgun.